Product #16059 | SKU MDPHDTV10FT | 5.0 (based on 1 rating) Thanks for your rating! The Mini DisplayPort to HDMI Cable with Coupler for Macbook from Kanex comes with a mini DisplayPort input and HDMI output, allowing for easy connection of additional HDMI displays to your Macbook. 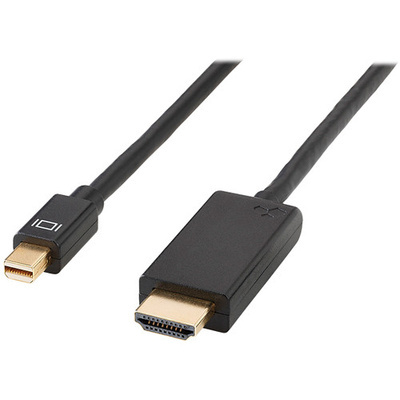 With 1920 X 1080 support and 12 bit colour depth, the picture quality achieved through this cable will be full HD. The cable's low profile and flexibility allow for easy installation and the 3 m length means you no longer need to have the external display close by. With 3 m length the HDMI cable provides the flexibility in extending your desktop content from anywhere.